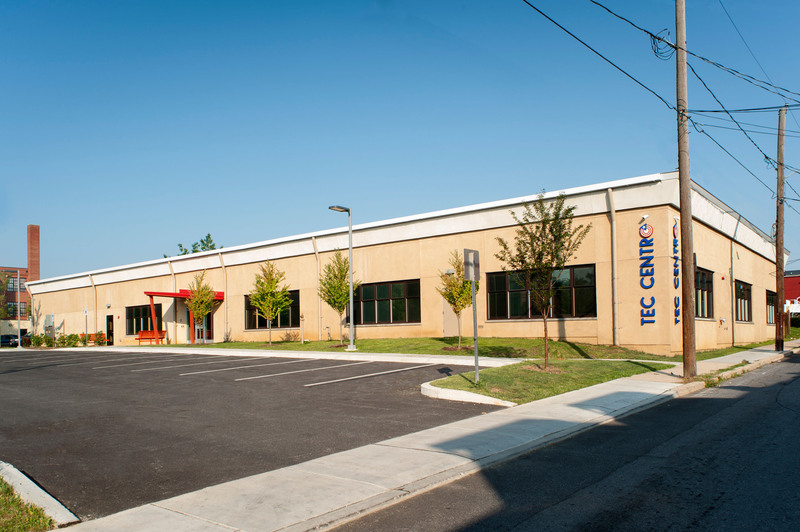 This facility was built with grant money awarded to SACADC. We became involved at the very beginning, providing a high level of detail for the grant application, including construction cost estimates, conceptual building and site plans, zoning and building code analysis, and an exterior rendering and feasibility study. 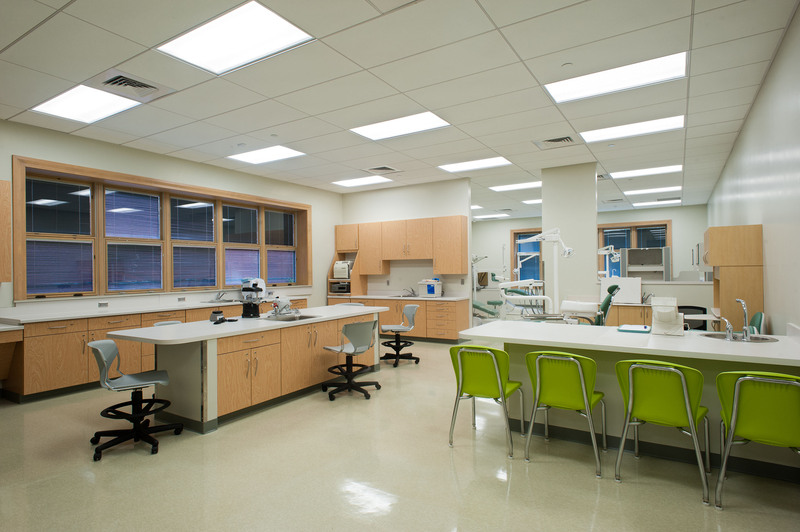 The facility houses a state-of-the-art training center that prepares and qualifies students for good careers in the dental and medical healthcare fields. The new building is a prominent addition to the streetscape, easily seen by auto and pedestrian traffic. The large, lettering on the corner doubles as visual advertising. The spacious parking lot makes it easy for students and staff to access the building without the hassle of on-street city parking. 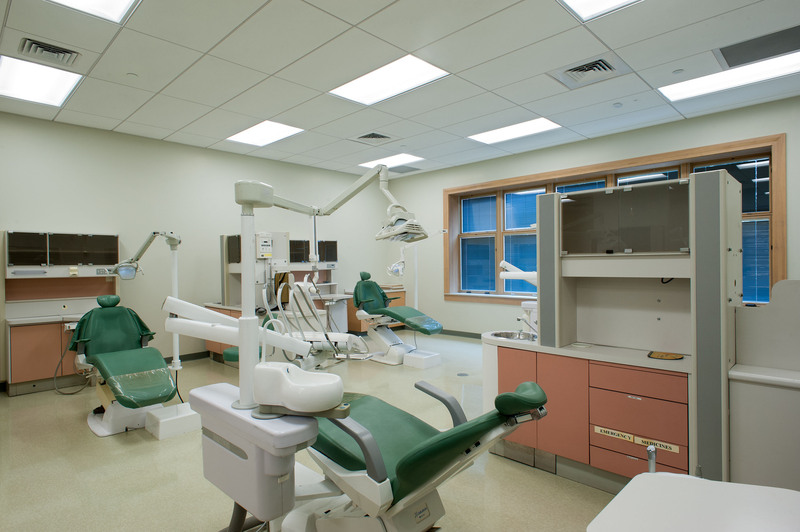 The Dental exam and procedure area is an authentic recreation of a treatment room at a dental practice, using the same types of equipment, furnishings, and technology. Here students get hands-on training for careers as dental assistants and hygienists. In addition to being a training center, this area is also used as a free dental clinic for neighborhood residents. The room includes 4 stations, with ample space surrounding each station. Cabinets interspersed along the walls provide ample storage for supplies. Windows and ceiling lighting keep the area bright, with the cool green and warm peach colors providing a soothing atmosphere. 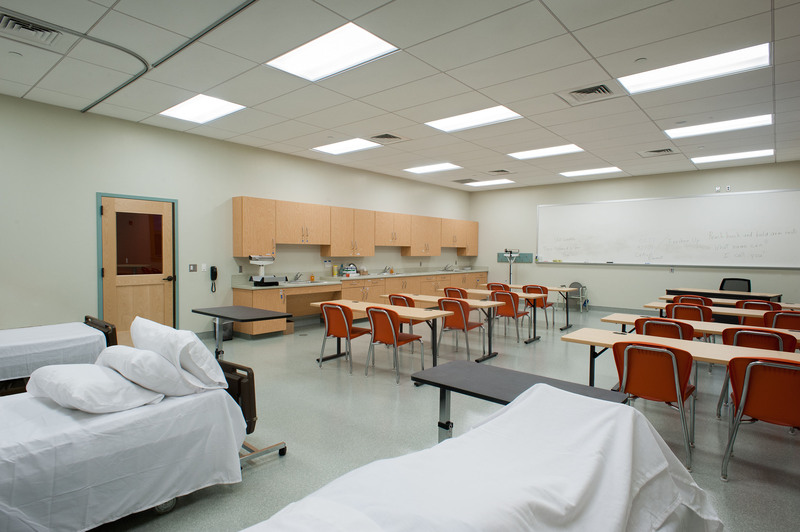 The spacious Nurses Assistant training room is sectioned into distinctly different areas for patient/nurse assist training, classroom-style instruction, lab training, and supply storage. 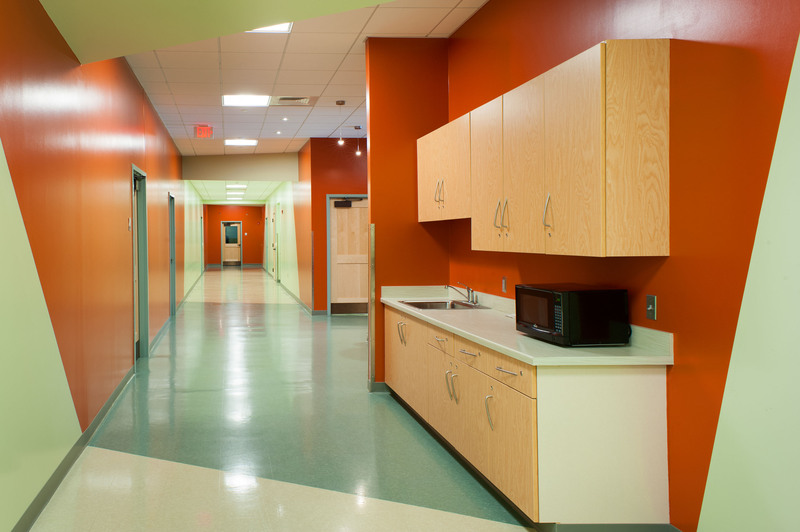 Walls are white and pristine to simulate the sterile environment of a hospital. Lighting is energy-efficient white LED for a non-glare brightness in the room. Color is introduced in the seating to add a feeling of warmth. Interior corridors are bright and cheerful with a combination of pendant lighting from the reception area to LED lighting in the ceilings of the corridors. Bold colors and angular patterns in the painted walls are done with inexpensive paint and vinyl finishes that add visual interest to what would otherwise be uninteresting space. The kitchenette includes a sink area and microwave, and is available for students as well as staff. All doors and drawers are lockable for theft prevention.